These little bites melt in your mouth! The protein and good-for-you fat makes this the perfect after workout snack, or satiating afternoon treat. 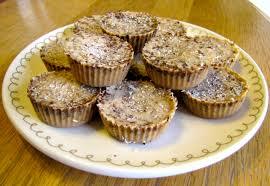 Once everything is combined, scoop 1 tablespoon of the mixture in mini muffin paper cups and freeze for 6-12 hours.